The Winter Valley Fire blazed across western Moffat County Thursday afternoon, pushed by winds of up to 50 miles per hour. The Winter Valley Fire in western Moffat County is now 50 to 70 percent contained and estimated to be at 7,800 acres, according to a statement from the Bureau of Land Management. Up from the last reported estimate of 6,400 acres, the increased acreage is due to more accurate mapping of the fire from helicopters, the release said. Residents in the Deerlodge Park, Lily Park and surrounding areas have been allowed to return home. Cooler temperatures and rain Friday and Saturday helped slow the fire’s growth, and fire officials are releasing some crews and resources from the fire. The Winter Valley Fire began about a mile and a half south of Elk Springs and was first reported around noon Thursday, estimated at that time to be 10 to 15 acres. By the end of the night Thursday, the fire had grown to an estimated 5,200 acres. It was driven as far Cross Mountain, 10 to 15 miles northeast of Elk Springs, by winds of up to 50 miles per hour. 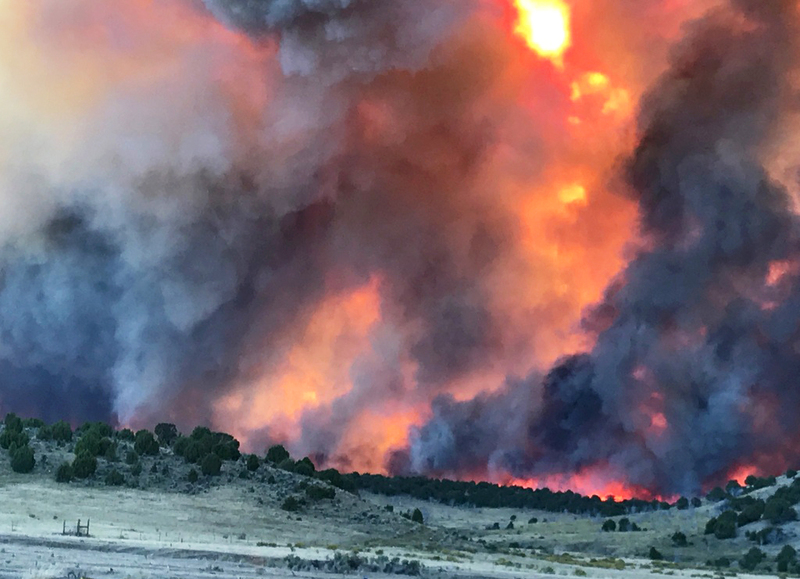 Residents, hunters and campers in the area were evacuated, and U.S. Highway 40 was closed between Maybell and Elk Springs from Thursday afternoon until Friday morning.